A Carol Christmas is a new musical version of the immortal Charles Dickens classic set in America right now. Instead of a man named Scrooge we have a woman named Carol, a successful, driven, demanding, Home-Shopping Network maven who cares nothing for Christmas and wants her staff to work right through the holidays. 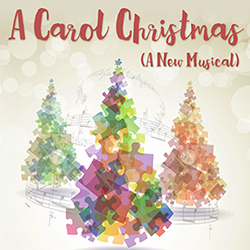 All of the characters you know and love — Marley, Cratchit, Fred, and Tiny Tim are women in this fun, charming, and touching family-friendly new musical. How many tickets do you want for A Carol Christmas? Student and senior tickets receive a $5.00 discount. A photo ID must be presented at the box office. If you want more than 9 tickets, please contact our box office at (818) 763-5990 for group rates. Tickets for this performance are no longer available online. Due to limited availability, you must call the box office at (818) 763-5990 to get tickets for this performance. Sorry, this performance is sold out. Please call the box office to be added to the waitlist.